Volz Servos, a manufacturer of electro-mechanical actuators for robotics and unmanned vehicles, has announced that it now offers its electromagnetic clutches with external position sensors. This new combination is available on Volz’ larger servos, such as the DA-26. Volz’ electromagnetic clutches are ideal for Optionally Piloted Vehicle (OPV) applications. In the event of an actuator failure, the clutch can be disengaged and the actuator output shaft can be freely moved, allowing the pilot to control the vehicle. Volz actuators are comprised of a DC motor, a gear train and control electronics governed by microprocessors with integrated position feedback. These electromechanical servo units precisely position a radial output drive. 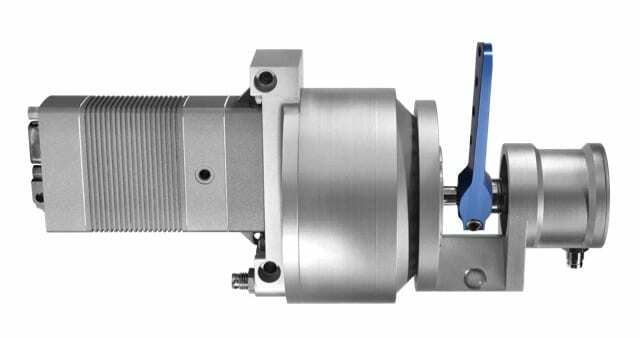 The actuators are encased in a rugged aluminium housing, for reliable operation in extreme environments. Volz will be exhibiting its upgraded servo technologies at the AUVSI Xponential trade show in Denver.